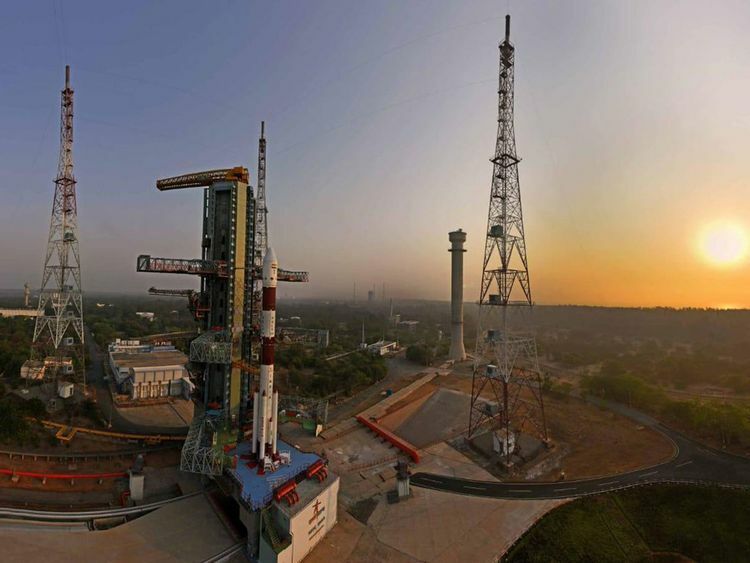 Sriharikota, Andhra Pradesh: All is set for the lift-off of a new variant of the Polar Satellite Launch Vehicle (PSLV) from here on Monday, carrying electronic intelligence satellite, Emisat for the Defence Research Development Organisation (DRDO) and 28 other third-party satellites. About 17 minutes after the take-off at 9.27am, the rocket would eject the 436kg Emisat into a 749km orbit. "There is an increased demand for satellites from strategic sectors. About six or seven satellites are planned to be built," a senior official on the condition of anonymity told IANS. After putting the Emisat into orbit, the rocket will be brought down to put the 28 foreign satellites -- 24 from the US, two from Lithuania and one each from Spain and Switzerland -- in orbit at an altitude of 504 km. This will be followed by bringing the rocket down further to 485km when the fourth stage/engine will turn into a payload platform carrying three experimental payloads: (a) Automatic Identification System (AIS) from ISRO for Maritime satellite applications capturing messages transmitted from ships (b) Automatic Packet Repeating System (APRS) from AMSAT (Radio Amateur Satellite Corporation), India - to assist amateur radio operators in tracking and monitoring position data and (c) Advanced Retarding Potential Analyser for Ionospheric Studies (ARIS) from Indian Institute of Space Science and Technology (IIST) - for the structural and compositional studies of ionosphere, the space agency said. The whole mission will take about 180 minutes from the rocket's lift off time of 9.27 a.m.